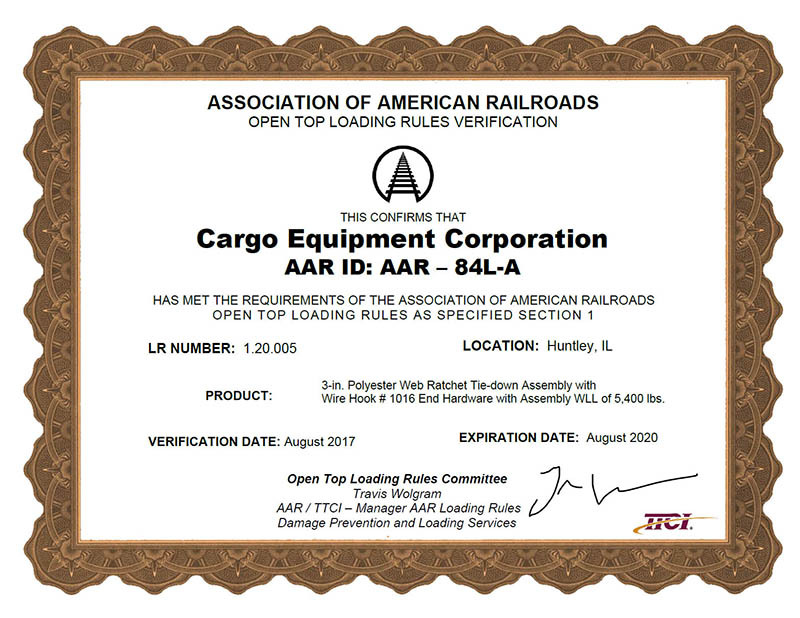 Cargo Equipment Corporation is certified by the Association of American Railroads (AAR) as a facility for testing webbing and web assemblies. 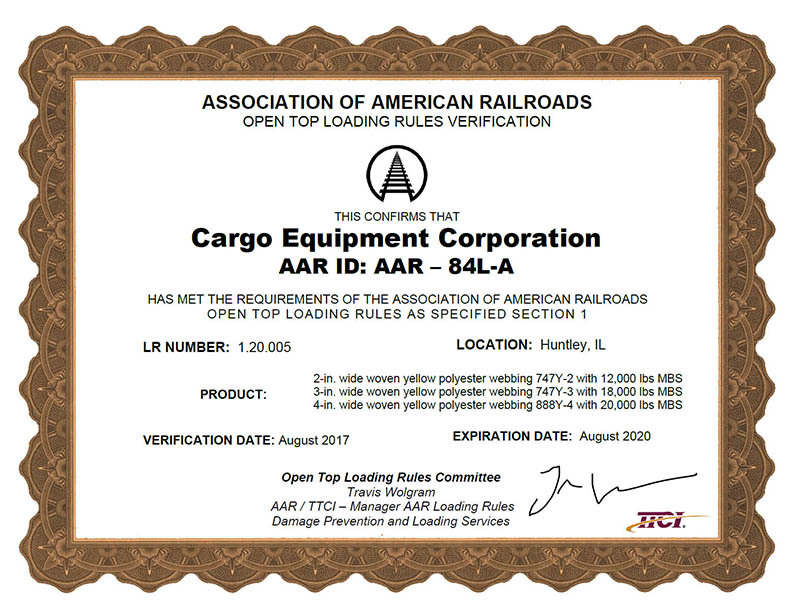 If you are in need of certifying your tie down for AAR, we can get you approved. 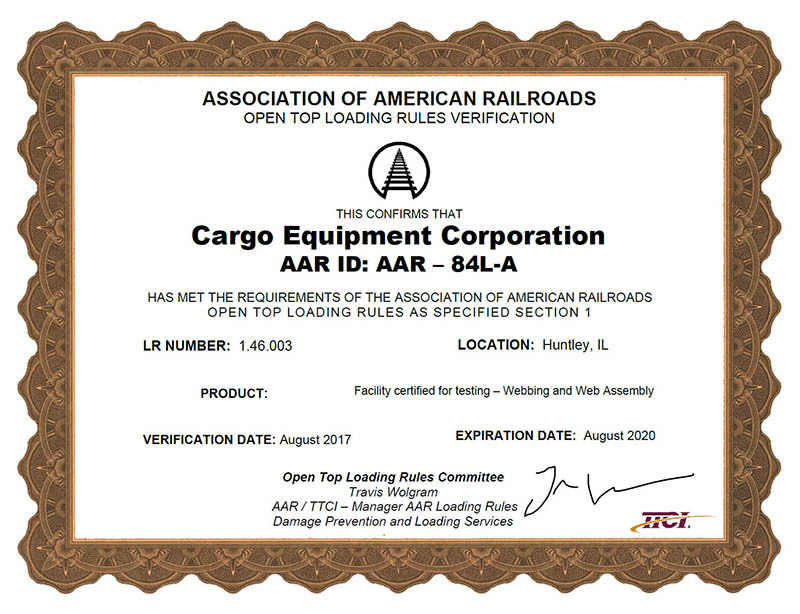 Our facility is one of a handful of places in the United States that can sell you certified webbing, tie-downs, or have your own tie-down assemblies approved for use in the railroad industry. Please contact Rob Snyder at 847-741-7272 or robsnyder@cargoequipmentcorp.com for more information.